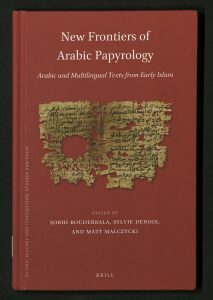 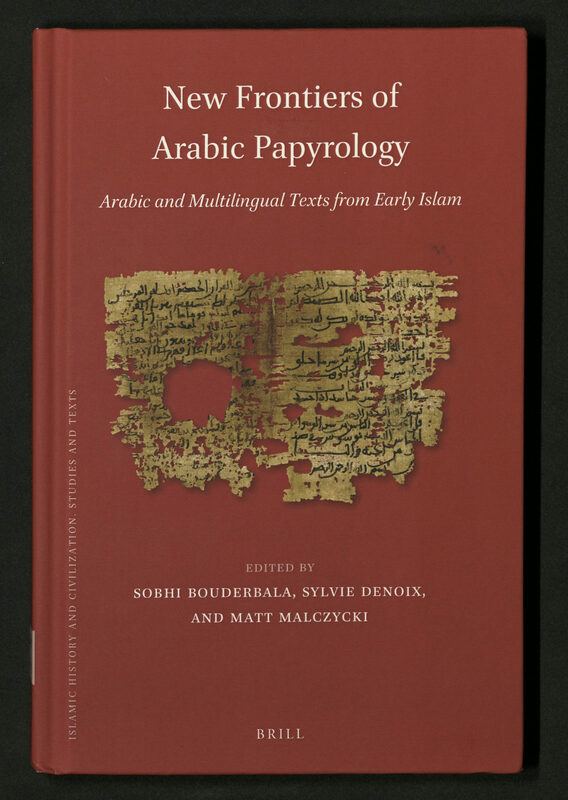 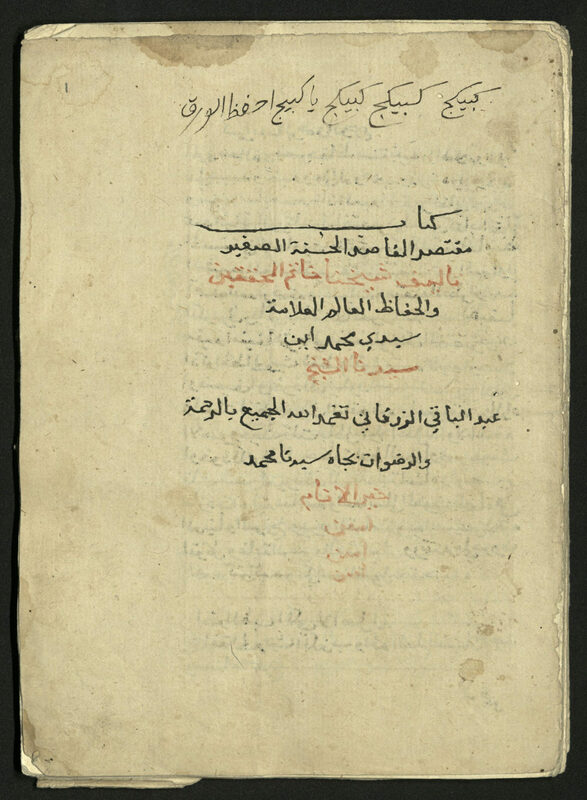 An abridgement of Muḥammad ibn ʻAbd al-Bāqīal-Zurqānī’s Mukhtaṣar, itself an abridgement of al-Sakhāwī’s al-Maqāṣid al-ḥasanah, a collection of ḥadīth; the present work is anonymous, but al-Jabartī (in ʻAjāʼib al-āthār, ed. 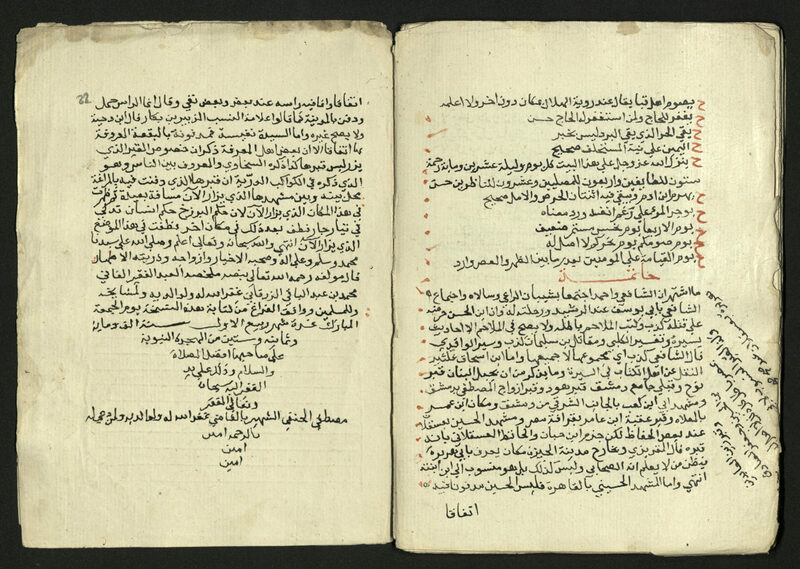 Ḥasan Muḥammad Jawhar et al., [al-Qāhirah]: Lajnat al-Bayān al-ʻArabī, 1958-9; v. 1, p. 176) informs us that al-Zurqānī summarized his own abridgement “fī naḥw kurrāsayn bi-ishārat wālidihi”; the present work would seem to fit that description; an extract is also listed by Brockelmann (GAL II:35). 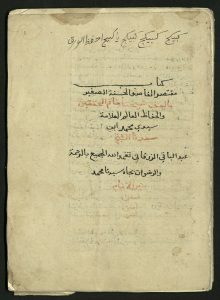 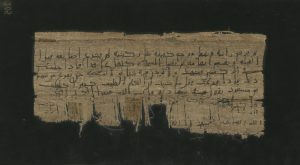 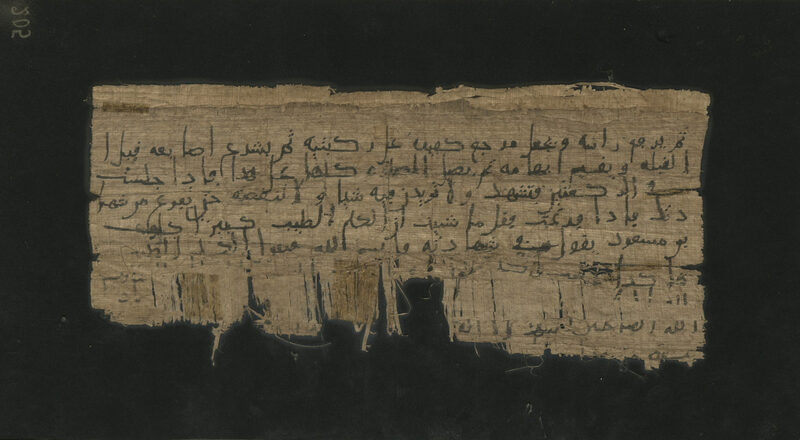 Naskhī in a trembling hand; rubrications; 25 lines/p; corrections and notes on the margins; title and invocation against bookworms (‘kabīkaj, kabīkaj, kabīkaj, yā kabīkaj iḥfaẓ al-waraq’) on fol. 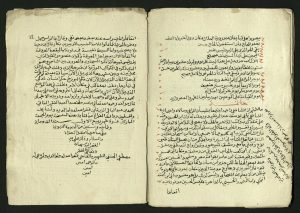 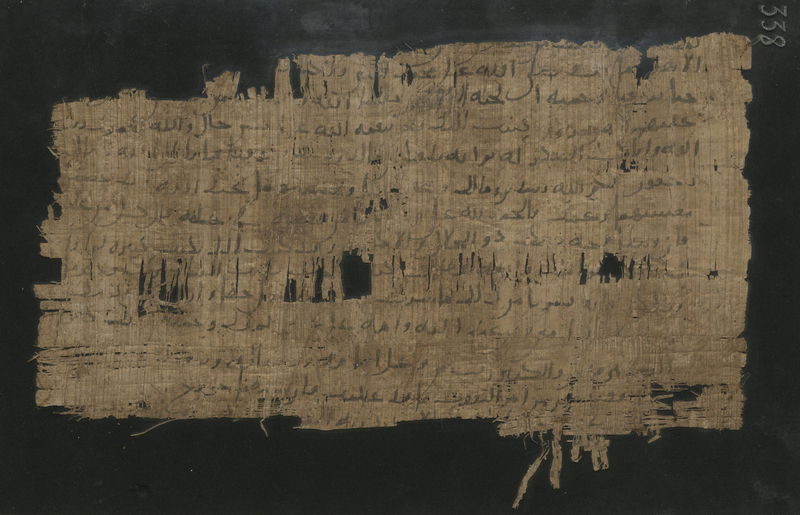 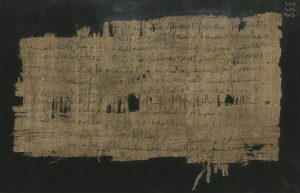 1a; one folio missing after fol. 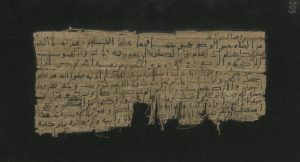 7; laid paper; watermark: three thick crescents; unbound.